Paulo Vilhena was born on 3rd January 1979 in Santos, Brazil. His birth name is Paulo Eduardo Oliveira de Vilhena Moraes and his nickname is Alemão. Likewise, his mother name is Lina Vilhena and his father name is still unknown. And, he was raised along with his brother named Sergio Vilhena. Likewise, he has passed an entrance exam in advertising and marketing at Pontificia Universidade Catolica de Sao Paulo (PUC) in 1998. But he left within the first semester because he got the role in the series “Sandy and Junior”. Paulo holds Brazilian nationality and belongs to unknown ethnicity. He has light brown hair colour and has black eye colour. His zodiac sign is Capricorn. Paulo Vilhena began his career from the TV series “Sandy and Junior” in 1998 where he played the role of Gustavo. Then he appeared in the theatre starring in the musical “Tutti-Frutti: The Musical”. Then, he debuted as a reporter on December 1, 2000, in the show “Show Video”.He made his debut in a novel from Coraçao de Estudante (“Heart of a Student”) and portrayed the role of agronomist Fabio. He played the role of protagonist in Ahora É que São Elas in 2003 where he portrayed the role of young Vitorio. After 15 days of vacation, he got the opportunity to play as Paulo Cesar in the “Celebrity”. He etered in film industry in 2004 from the movie Xuxa and the Treasure of the Lost City. He became a director to command in the play “Room Student” in 2005. 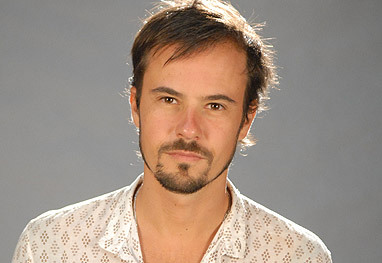 Paulo portrayed the role of wine expert Fred in “Tropical Paradise” in 2007 where he got the chance to mature on the stage. He showed his daring character in the drama “The Architect and the Emperor of Assyria” where only body language is used to tell the story. Paulo played the role of Cristiano Stallion in “Morde & Assopra” in 2011 in which the character only thinks of work. He appeared as Marcus Aurelius who is an intelligent and astute criminal in the web series “The Web” on January 28, 2014. Similarly, he is given the role of Rubino in “A Forca do Querer” in the year 2017 but he gave up the role to play as the antagonist of Pega Pega. The 40 years old, Paulo Vilhena was married several time. He began dating Sandy in April 2000, but they ended in January 2001. He had a troubled relationship with Luana Piovani in April 2002 and that ended in a few months as well. He romanced with model Maryeva Oliveira in the same year and that relationship also did not go long. After that, he dated Priscila Fantin from May 2004 to January 2005. He was in a relationship with designer Roberta Alonso in June 2005 and they dated for 3 and a half years and eventually ended up in October 2005. He began dating actress Thaila Ayala in June 2009. He was a godfather of Luisa in 2010, who is the daughter of his friends Fernanda Rodrigues and Raoni Carneiro. Paulo and Thaila married in early 2011 in civilian secrecy and they conducted religious marriage for family and friends on November 21, 2011. But, they ended their relationship on January 13, 2014, and the reason for their separation is still unknown. The Brazilian actor, Paulo Vilhena has earned the decent income from his career. However, he hasn’t revealed his net worth and annual income. Paulo has around 681k followers on Instagram, above 241k followers on Twitter but there is no information about his Facebook followers.